If you add in the performance results, the picture gets even more interesting. Had you gone back in time and forewarned potential investors that a financial crisis was coming, logic would tell you that the last place one might want to be invested would be in a bank. Yet take a look at what happened since 2001. A hypothetical $10,000 investment would now be worth about $17,000. 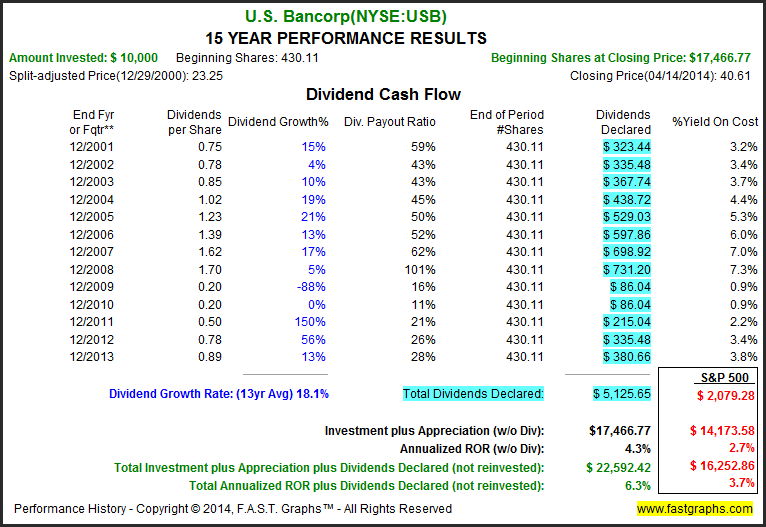 In addition, you would have received roughly $5,000 in total dividends for an annualized return of just over 6%. 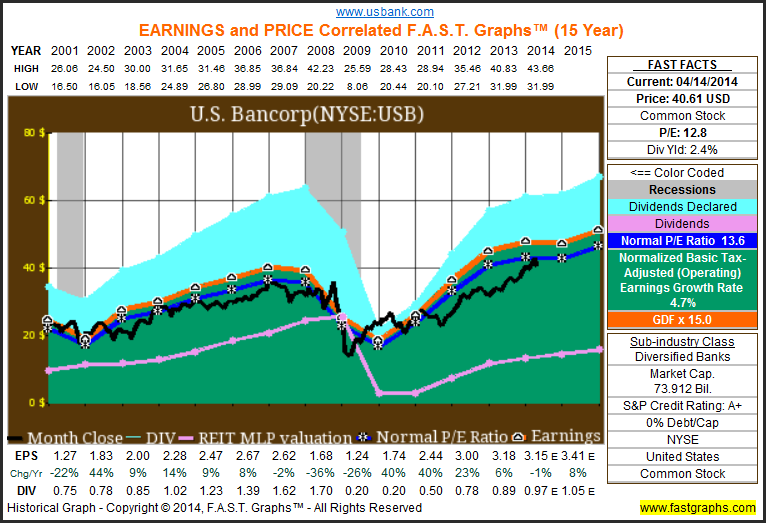 Expressed differently, the U.S. Bancorp investor – despite the financial collapse – would have both achieved results that beat the S&P Index by a couple of percentage points and receive an “extra” $3,000 in dividend payments as well. There’s something to be said for a strong and enduring business model – no matter how high or low the intermediate peaks and valleys. 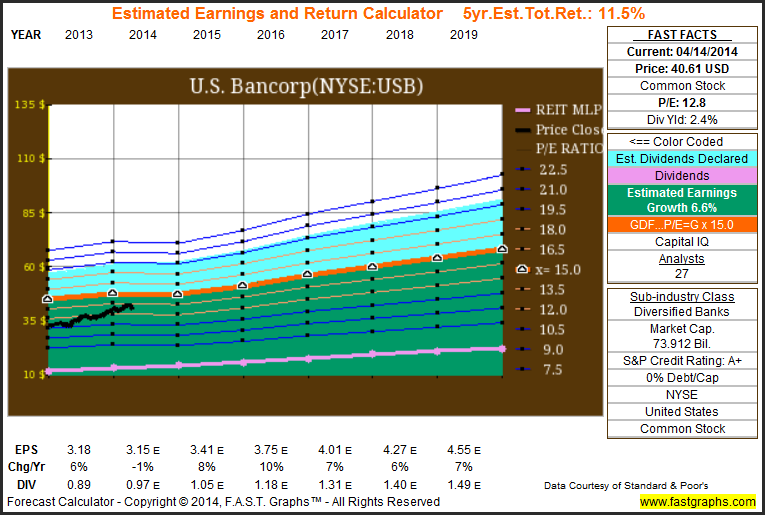 On the dividend front it appears that there is still more room to increase payouts. For the 2010 – 2014 periods the dividend payout ratios were 11%, 20%, 27% and 29% – not yet reaching management’s long-term target. 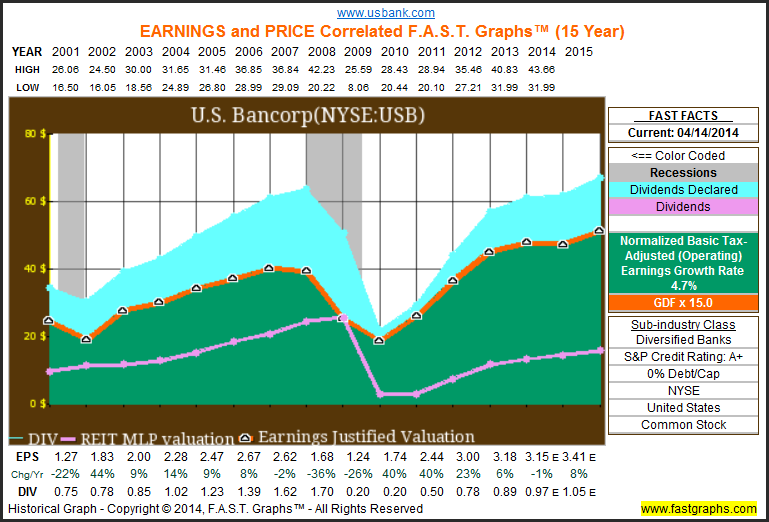 If you take this information collectively, you find that shares of U.S. Bancorp are trading in line with its historical level, have the ability to increase dividends at a slightly faster pace than earnings and could see reasonable EPS growth as well. 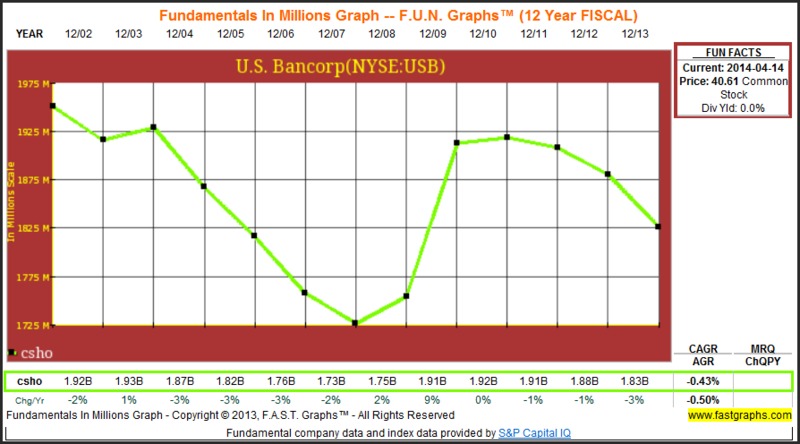 This entry was posted in FAST Graphs At-A-Glance and tagged BAC, BRKA, C, JPM, USB, WFC. Bookmark the permalink.